Andrew has over 15 years experience working on human-carnivore conflict throughout East and southern Africa. His work draws upon his interest in wildlife ecology, culture, and engaging with communities to develop pragmatic solutions to challenging issues in the field. His previous work includes studies of African wild dogs and lions in Laikipia, Kenya, and leopards on farmlands in the Soutpansberg, South Africa, and Waterberg region of Namibia. 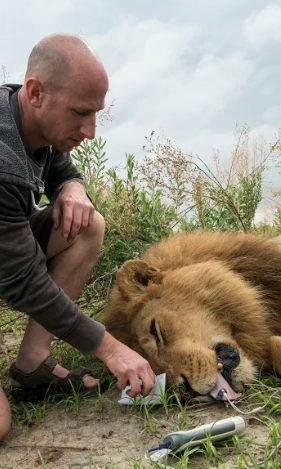 After completing his Ph.D. at the University of Massachusetts, Amherst, Stein headed a field camp overseeing ecological research on lions, leopards, cheetahs, African wild dogs, and spotted hyenas in northern Botswana. In 2015, Dr. Stein founded the CLAWS Conservancy (Communities Living Among Wildlife Sustainably), a nonprofit organization established to provide innovative approaches to promote human-wildlife coexistence. Andrew is an Assistant Professor at Landmark College in Vermont.